As of this Sunday, March 6th, metro will stop accepting paper farecards for for travel within the metrorail system. Metro has been preparing for this change for a while, and all the blue fare machines in metro stations have been dispensing smart trip cards instead of paper farecards since last December. 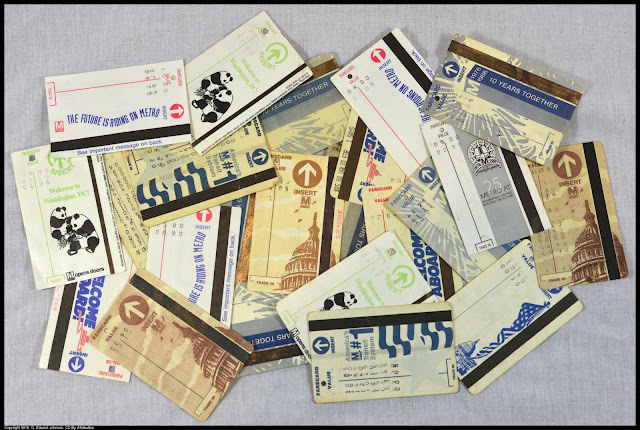 If you have a paper farecard (or a pile of them) you can still turn them in until June 30th and add the value to a smart trip card at any brown fare machine at a metro station (the blue ones don't have a spot to accept paper farecards). I tried it out earlier this week and had about a 50% success rate with the cards I had. 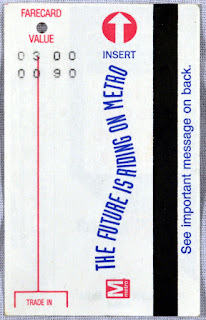 (Admittedly though, some of my farecards are pretty old.) You can also take them to any Metro sales office. For more information see the Metro press release. 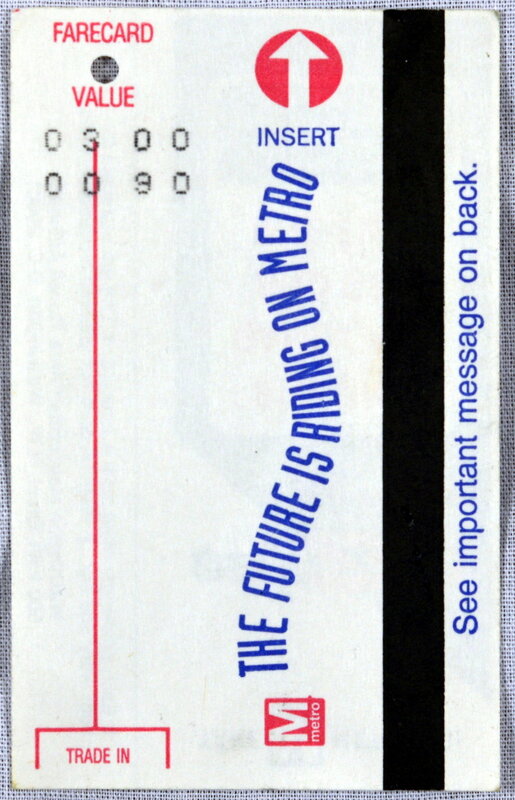 The future may be riding on Metro, but the future isn't riding on Metro using paper farecards.